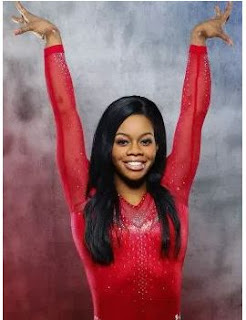 Olympic gold medalist Gabby Douglas will join the judges panel for the Miss America 2017 competition, the organization announced exclusively to USA TODAY Monday. Fresh from a winning performance with the Final Five women of the U.S. Olympics gymnastics team in Rio, Douglas will head to Atlantic City for the final round of competition, which will be broadcast live on Sunday, Sept. 11 (9:00 – 11:00 p.m. ET/PT) on ABC. Chris Harrison of The Bachelor and Who Wants To Be A Millionaire will return as host of the 96th annual competition show. Douglas will evaluate the 52 contestants along with entrepreneur Mark Cuban, actress Sara Foster, singer-songwriter Cole Swindell, former Miss America Sharlene Wells Hawkes and musician and actress Laura Marano. Additional judges will be announced in the coming weeks. Fans can also vote for their favorite contestant through Sept. 5 at 12:00 p.m. ET at missamerica.org and facebook.com/missamerica. The winner will be named America’s Choice, and will advance along with the Top 15 if she was not already selected by the panel of celebrity judges.